Katharin was born in the small town of Rhinebeck, NY as the middle of nine children. She has moved many times across the United States, but her family eventually settled in the Omaha area. She and her siblings were home schooled, after which she went on to continue her education at Metropolitan Community College, where she studied Art. 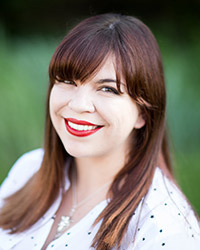 She is a published freelance illustrator, contracting for Bethany House, among other independent publishers. She enjoys working on commissioned projects and staying active in her free time by playing with her dog, Ridley, and playing baseball with her siblings, as well as spending time with her husband, Ryan. She is excited to be a part of the Family First Chiropractic team, and is looking forward to using the newfound energy she has gained through chiropractic adjustments to further her art career and start a family of her own in the coming years! Elizabeth was born and raised in Omaha, NE. She is the oldest of 8 children. Growing up she played a lot of sports; mostly dance, volleyball, and swimming. She has lived in Texas, Florida, Maryland, California, Nevada, and Nebraska. She is excited about everything she is learning here at Family First Chiropractic and being able to share it with her loved ones. Courtney has lived in Nebraska her whole life and grew up in Bellevue. She was a very active kid, and started martial arts when she was 5 years old, and started playing soccer when she was 6. As she got older, she got into sports like basketball, cross country, swimming, baseball, softball, and wrestling. She continues to practice and teach martial arts- she holds a first-degree black belt and a blue belt in 10th Planet Jiu Jitsu. After high school, she continued her education at Iowa Western Community College where she started in the Athletic Training program. She has always had an interest in the human body, health, and of course, sports! She was very involved in the program and worked in the clinic 3-4 times a week and as well working other sporting events. In her second year, she was the Student Athletic Trainer for the softball team and for the volleyball team. She was also the President of the Reiver Athletic Training Student program. She graduated with my Associate’s Degree in Athletic Training in 2015, and transferred over to the University of Nebraska- Omaha and into their Exercise Science program where she continues to take classes to work towards her Bachelor’s degree. In her free time, she likes to spend time with her family and friends, as well as travel. She feels very fortunate to be a part of the team here at Family First, and she cannot wait for what the future here holds for her! Joanne was born and raised in Cedar Rapids, Iowa. 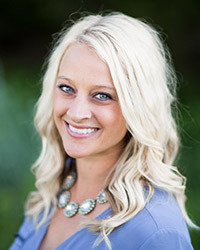 She graduated from the University of Northern Iowa in 2005 with a Bachelor’s degree in education, and from the University of Nebraska at Omaha in 2007 with a Master’s degree in education. After spending a few years working with local school systems, Joanne decided to pursue an opportunity to educate people of all ages about the importance of having a healthy spine and nervous system. Joanne focuses on providing the best experience to everyone who walks into the office; most of her efforts happen “behind the scenes,” making sure that everything at Family First is running smoothly! Outside the office, Joanne enjoys cooking, traveling, watching movies with her husband, Todd, and being a mom to their daughter Adalynn and son Oliver. 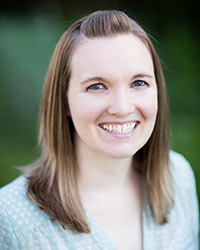 Julie grew up in Bellevue, Nebraska, and then attended the University of Nebraska at Kearney graduating with a Bachelor’s degree in Elementary Education and Early Childhood. She has worked with children in many capacities, helping them to learn, grow, and be healthy. In her role as a Chiropractic Assistant, Julie loves continuing to educate others, this time about keeping your nervous system functioning optimally by maintaining a healthy spine. Julie and her husband Ben have two children, Anna and Claire. Among reading, dancing, and playing with the girls, Julie loves to travel, be outdoors, and laugh with friends and family. 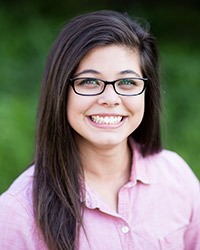 Melissa is Dr. Joel’s wife and a large contributor to much of the operations of Family First Chiropractic. She is the person behind the beautiful themed decor throughout the months as well as the fun events, contests, and promotions that go on within the office. She is also responsible for making sure that there is a great team of people serving you each day. She spends half of her time each week at FFC so you may see her at times popping in and out of the office. You will also see her at the parties in the office and special workshop nights where she may also be one of the speakers! Melissa was born and raised in East Dubuque, IL. 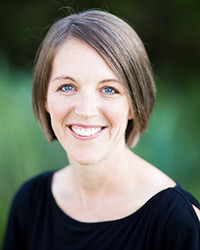 She graduated from the University of Northern Iowa in 2004 with a degree in Recreation Therapy and then also graduated from Palmer College of Chiropractic in 2005 with a degree as a Chiropractic Office Assistant. Since her and Dr. Joel married in 2009, they were blessed in March of 2013 with their first daughter, Gianna, and in December 2017 with their second daughter, Mae. 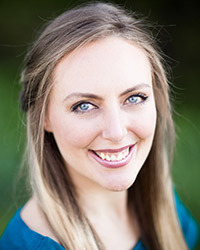 Melissa enjoys being able to pursue her mission with Family First Chiropractic as well as a second career in doing life/business coaching and team training for chiropractors around the globe. We look forward to meeting you and watching your life transform with care from our amazing doctors and staff.